I have worked in Alexandria for many years. I worked on my serving skills at Belle Haven Country Club in the restaurant and banquet service. 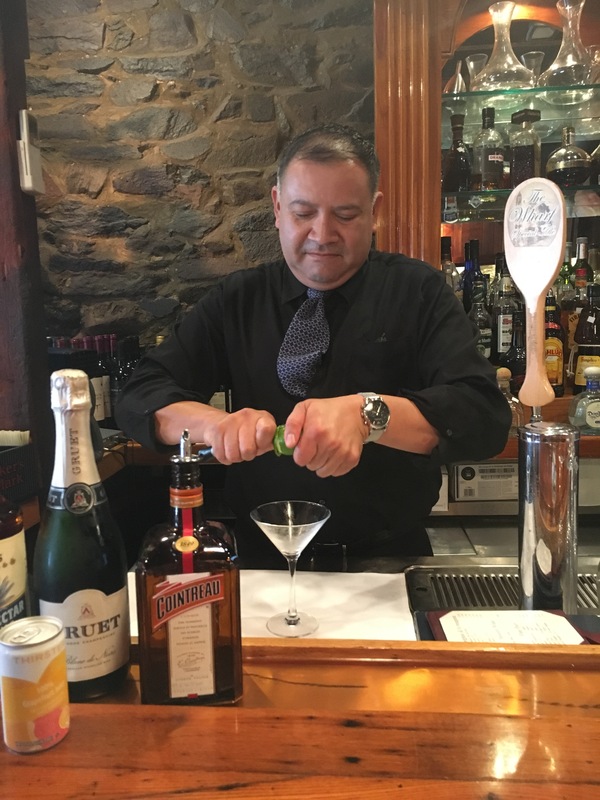 However, I have always been interested in what went on behind the bar and got to mix drinks every once in a while at Belle Haven. 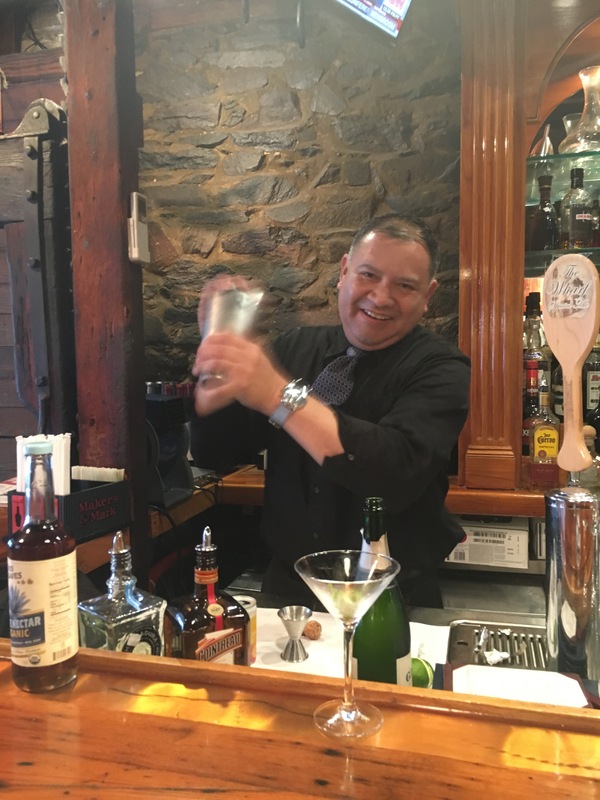 While working as a server in Landini Brothers in Old Town, Kathy Coombs, then the daytime bartender, took me under her wing and really showed me the ropes. She was my mentor and I will always be grateful to her for inspiring me to step behind the bar. 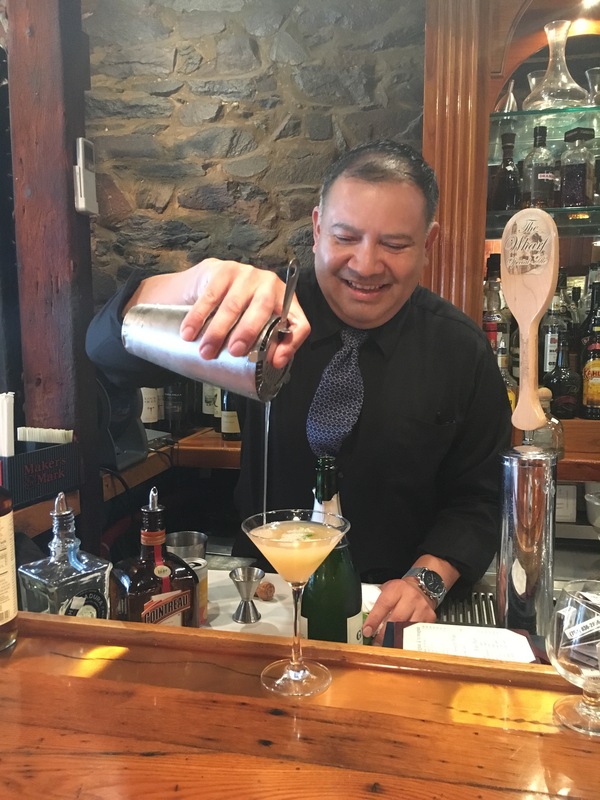 Being a bartender at The Wharf has given me the freedom to develop new cocktails for special occasions such as the Sweetheart Martini that I created for Valentine’s Day. 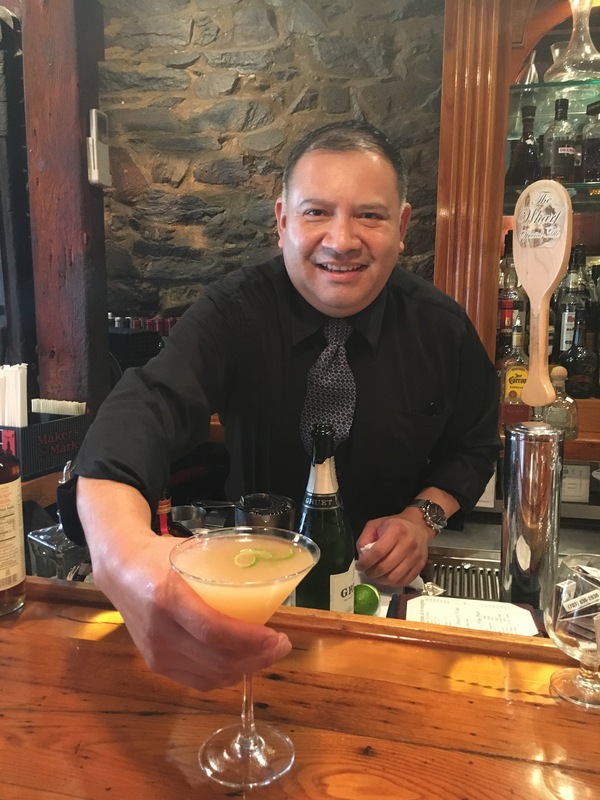 I also enjoy thinking about what our regulars drink and having it ready for them as they sit at a table or the bar. 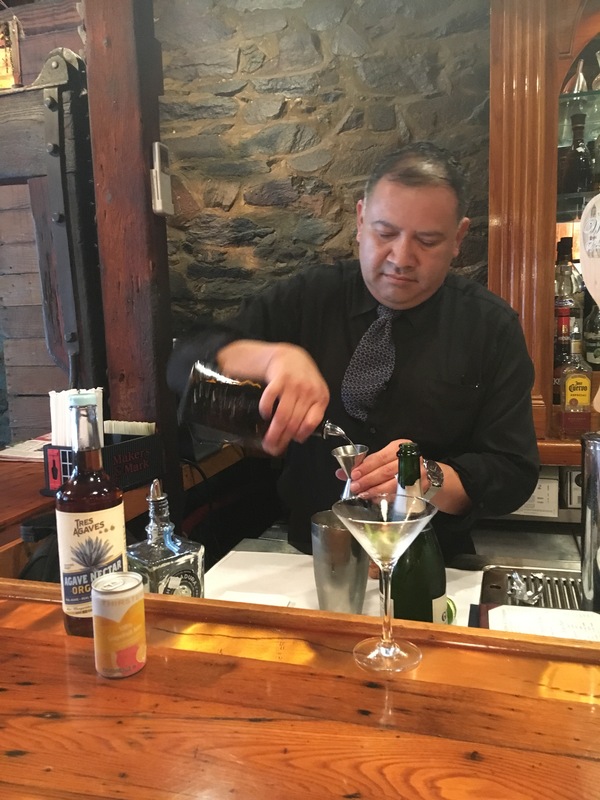 I love to see the surprise on an out-of-towner’s face when I remember their cocktail of choice the second night they come in the The Wharf.